Machine shop manufacturing insurance is necessary to operate your business but the coverage needs to benefit the business, the employer, and the staff. We’re a privately owned and operated agency that delivers comprehensive insurance and risk management solutions in Maple Grove, Minnesota and throughout Central Minnesota. We serve individuals, families, and businesses with comprehensive products and personalized services and we’re proud to be a part of our service communities. With a network of more than 20 carriers, we custom-tailor every policy we write to the needs of individual clients and we ensure that every client gets the greatest value for his or her insurance investment. We’re a full-service agency, which means that we not only deliver products but provide extensive services; these services make the insurance experience easy and quick. We offer a wide variety of personal and commercial insurance programs, but we specialize in a few areas. Home, auto, and business are a few of our areas of special focus. Construction site insurance is another area of special focus. Home and auto insurance are vital parts of any Minnesotan’s insurance portfolio. For homeowners and renters of any dwelling, we can adapt our home insurance program to provide total protection for minimal costs. Whether one needs basic property and liability protection or more advanced protection through inland marine and umbrella, we have the coverages necessary to ensure that a home insurance solution is complete. Auto insurance is something that’s easy to find, but finding the right auto insurance policy is not so easy. This type of insurance is often sold as a commodity, which it is not. We sell auto insurance as a suite of coverages that protect drivers under any circumstances. We consider price, but price is not a leading consideration. See our auto insurance page to learn more. 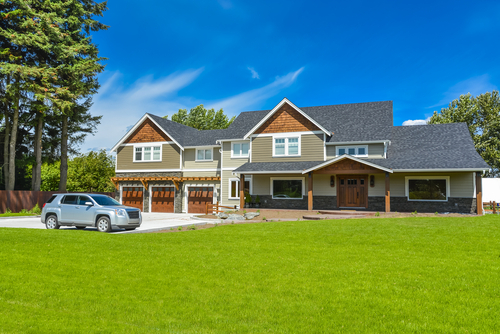 You can save on your home and auto insurance by combining these two types of insurance. Doing so makes you eligible for a discount that reduces your rates and for benefits that make extended coverage options available. See our home & auto page and/or speak with an agent to learn more. For businesses we have a broad and flexible insurance program. This program provides a strong base of protection for any commercial operation in Minnesota and provides opportunities to add coverages that make a policy complete. See our business coverage page for more information. We specialize in construction site insurance and have special coverages for equipment. Providing comprehensive products and personalized services is one way in which we help individuals and businesses succeed, but there is more that we can do. We sponsor and participate in local events and activities that celebrate our service communities and that help make these communities better places to live and work. We also work with local organizations that contribute to the socioeconomic health of the areas we serve. Our involvement with these events and organizations helps us get to know the people and commercial operations that we serve better and it helps us become better insurers. We believe in giving every client the best insurance experience possible and we deliver effective and expansive products and personalized and extensive services in order to ensure that such an experience is had every time. We develop relationships with clients and these relationships make information exchanges and policy creations easy. As a result we help clients make the best insurance investments they can and we help clients maximize the value of these investments. We manage risk and claims and we provide ongoing education. This helps clients reduce costs and it helps them have advocates. It also helps clients get the informational tools that they need in order to make the best decisions about their insurance. We’re also fully available, which means that we can be reached whenever and however our clients need to reach us. We don’t want a client to wait for a solution, so if we don’t make it to the phone, we get back to a client as soon as we can. Our turnarounds are short and we speak with clients personally whenever possible. Please contact us give us a call to learn more or to get started. If you feel that you’re ready to start on a policy, feel free to request a quote. Proudly serving Maple Grove, MN, Minneapolis, MN, Plymouth, MN, Minnetonka, MN, Anoka, MN, St. Paul, MN, and surrounding areas.